Kris and I are having a baby!!! We just went to the dr and we got to see the little blueberry and hear the heartbeat. Woohoo!!! 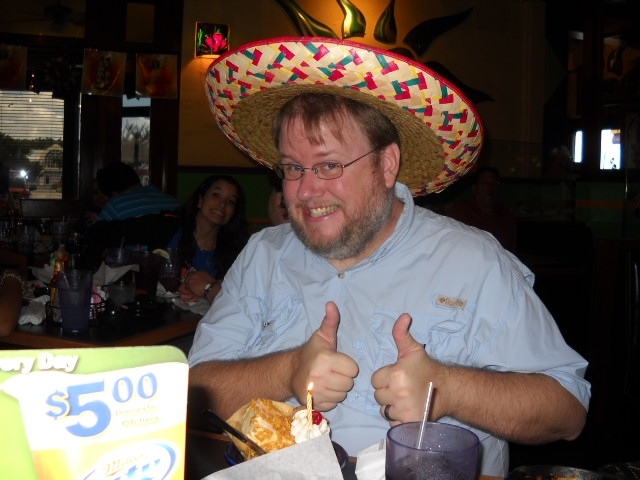 For the last few months I have been playing in the D&D Encounters program at 2d10 Games in Fort Myers. It is supposed to be a weekly 1-2 hour game where you work though one encounter per session and the story continues week after week. We have our sessions every 2-3 weeks and do a few encounters each time. Erik , Collin, Little Patrick and I started going when it started. We made some new friends there. 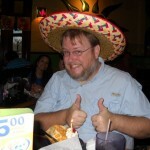 Hendrix (warlock), Mike (DM), and Cleon (store owner and sometimes player) have all been fantastic players and friends. We have one of our last sessions tonight and I hope that we can continue with the next season. 8. After I kidnap the beautiful princess, we will be married immediately in a quiet civil ceremony, not a lavish spectacle in three weeks’ time during which the final phase of my plan will be carried out. 9. I will not include a self-destruct mechanism unless absolutely necessary. If it is necessary, it will not be a large red button labelled “Danger: Do Not Push”. The big red button marked “Do Not Push” will instead trigger a spray of bullets on anyone stupid enough to disregard it. Similarly, the ON/OFF switch will not clearly be labelled as such. 10. I will not interrogate my enemies in the inner sanctum — a small hotel well outside my borders will work just as well. 19. I will not have a daughter. She would be as beautiful as she was evil, but one look at the hero’s rugged countenance and she’d betray her own father. 20. Despite its proven stress-relieving effect, I will not indulge in maniacal laughter. When so occupied, it’s too easy to miss unexpected developments that a more attentive individual could adjust to accordingly. 23. I will keep a special cache of low-tech weapons and train my troops in their use. That way even if the heroes manage to neutralize my power generator and/or render the standard-issue energy weapons useless my troops will not be overrun by a handful of savages armed with spears and rocks. 33. I won’t require high-ranking female members of my organization to wear a stainless-steel bustier. Morale is better with a more casual dress-code. Similarly, outfits made entirely from black leather will be reserved for formal occasions. 37. If my trusted lieutenant tells me my Legions of Terror are losing a battle, I will believe him. After all, he’s my trusted lieutenant. 45. I will make sure I have a clear understanding of who is responsible for what in my organization. For example, if my general screws up I will not draw my weapon, point it at him, say “And here is the price for failure,” then suddenly turn and kill some random underling. 46. If an advisor says to me “My liege, he is but one man. What can one man possibly do?”, I will reply “This.” and kill the advisor. 51. If one of my dungeon guards begins expressing concern over the conditions in the beautiful princess’ cell, I will immediately transfer him to a less people-oriented position. 53. If the beautiful princess that I capture says “I’ll never marry you! Never, do you hear me, NEVER!! !”, I will say “Oh well” and kill her. 57. Before employing any captured artifacts or machinery, I will carefully read the owner’s manual. 61. If my advisors ask “Why are you risking everything on such a mad scheme?”, I will not proceed until I have a response that satisfies them. 68. I will spare someone who saved my life sometime in the past. This is only reasonable as it encourages others to do so. However, the offer is good one time only. If they want me to spare them again, they’d better save my life again. 71. If I decide to test a lieutenant’s loyalty and see if he/she should be made a trusted lieutenant, I will have a crack squad of marksmen standing by in case the answer is no. 74. When I create a multimedia presentation of my plan designed so that my five-year-old advisor can easily understand the details, I will not label the disk “Project Overlord” and leave it lying on top of my desk. 83. If I’m eating dinner with the hero, put poison in his goblet, then have to leave the table for any reason, I will order new drinks for both of us instead of trying to decide whether or not to switch with him. 89. After I captures the hero’s superweapon, I will not immediately disband my legions and relax my guard because I believe whoever holds the weapon is unstoppable. After all, the hero held the weapon and I took it from him. 95. My dungeon will have its own qualified medical staff complete with bodyguards. That way if a prisoner becomes sick and his cellmate tells the guard it’s an emergency, the guard will fetch a trauma team instead of opening up the cell for a look. 98. If an attractive young couple enters my realm, I will carefully monitor their activities. If I find they are happy and affectionate, I will ignore them. However if circumstance have forced them together against their will and they spend all their time bickering and criticizing each other except during the intermittent occasions when they are saving each others’ lives at which point there are hints of sexual tension, I will immediately order their execution. Katee Sackhoff and George Takei talk about being on Big Bang Theory. Today Collin and I went to 2D10 Games in Fort Myers to play D&D for the release of the new D&D Essentials line. I ran an adventure for 4 people that had pre-made characters. It was a lot of fun. We probably took a bit longer to get through the adventure than we should have, but a good time was had by all. I am really looking forward to doing this again in the future. I stopped into a local game shop with my friend Erik on Saturday. He was looking for some minis and I was thinking about picking up a module or maybe a new guide book. After looking around for a bit, I saw a red box on a shelf. It was the new D&D Essentials Starter Set. I didn’t think it had been released yet (and according to Wizards website, it’s not out til 9-7-10). I quickly looked it over. I had heard a lot of rumors about the new Essentials line of products. 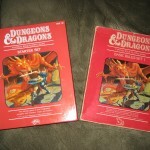 Everything from it being D&D 4.5e, to a whole new game, to a throwback to old style D&D. I bought it and took it home to give it a once over. 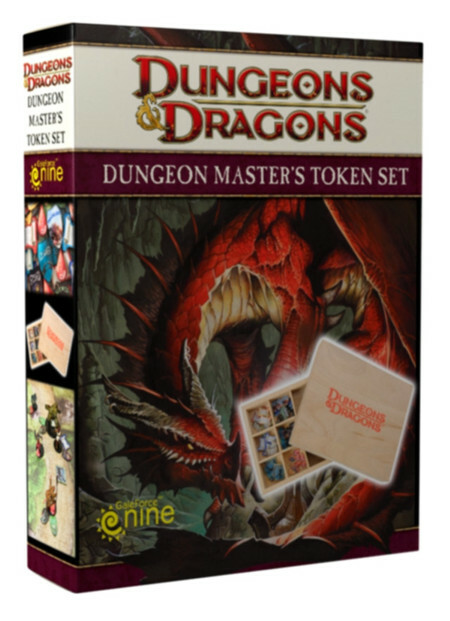 It comes with 2 books, some maps, a sheet of tokens for players, monsters, etc, and a set of dice. The first book is for players. It is basically a ‘choose your own adventure’ book to help you decide what type of character you want to be. I choose the wizard class and the book takes you through a battle with some goblins. You continue to make choices and it instructs you to fill out your character sheet as you go according to the choices you make. The second book is the DM’s book and has basic rules, a selection of monsters, and some encounters. It presents the rules in a way that you could read them over with your friends and have a game going in a short amount of time. The boxed set only takes you up to level 2, but they are releasing more supplements over the next few months that will take characters up to level 30. 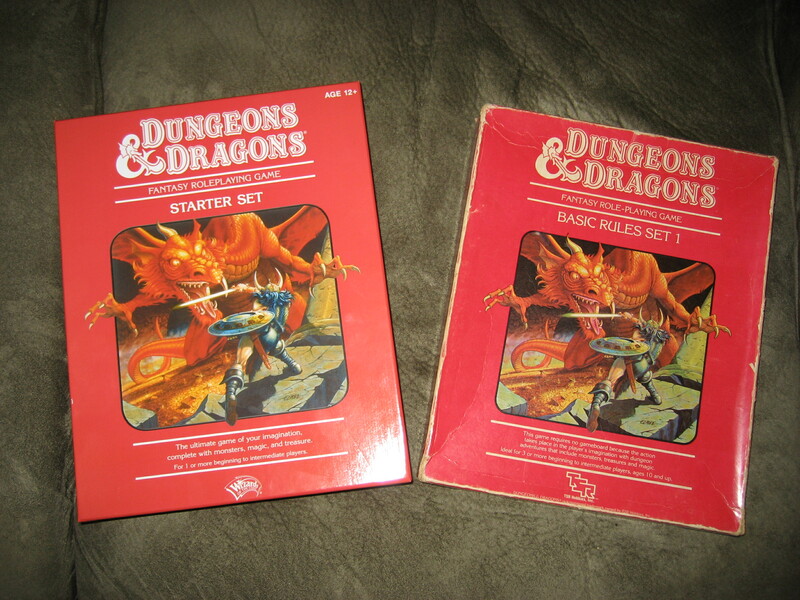 It really reminds me of the boxed sets my mom got me when I was a kid (pictured above along with the new set). I was skeptical at first when I read the rumors about what this would be doing to the game. Every time something new is released, there is always a group that cries “you’re ruining my game” (I was one of these when 4e came out). I have changed my opinion of it. I think it is a great way to get new players into the game. With all of the books out now (3 player’s handbooks, 3 monster manuals, etc) I think it can get very confusing trying to build a character for new players. There are just too many choices. I think its a great way to introduce new players to D&D. It could also be used to veteran players who want things to be a little simpler. 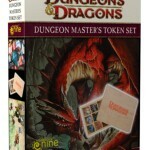 I just got my new Dungeon Master’s Token Set from Gale Force Nine. It’s probably one of the nicest gaming accessories I have ever seen. It comes in a nice wooden box with small compartments for the counters and a larger one for your dice, pencils, etc. The lid doubles as a dice tray and is lined with felt. There are 50 tokens to help you keep track of ongoing damage, people who are bloodied, marked, other conditions. They are acrylic so you can use your mat markers to make notes on them. I can’t wait to use this on Thursday when we get together to game. It is a really amazing set and I am really looking forward to using it. We’re going to see Scott Pilgrim. Booya! Then on Sunday it was Erik’s birthay. He had a cook out and a bunch of people came over. Gaming!!! The last few weeks have had some great gaming sessions. Billy has got Kris and I involved in a Mutants & Masterminds game that he is running on vent. M&M is a True20 game (you only use a d20) that is based on comic book style heroes. My character is a mystic that I based on Dr Orpheus from ‘The Venture Bros.’, Kristen is playing Anger Girl from City of Heroes, and Charlie is playing a character based on one of his toons from Champions Online. I liked my first play sessions so much that I ordered the main book and the magic sourcebook. Ok, I really don’t need an excuse to buy more gaming books, but it really is a lot of fun. We ran through all that Billy had for us (the basic adventure in the back of the book), so we have to wait until he can come up with more for us. We have taken a bit of a break from my Mage game. We have been wanting to play, but it’s been hard to get everyone together. One of the problems of having a big group is trying to work out everyone’s schedule so we can all get together. I hope that I can get most of the people together soon. At least 4 or 5 out of the 7 that are currently playing it. We have had a few one on one sessions that have gone well. Billy’s character went on a seeking and raised his arete.